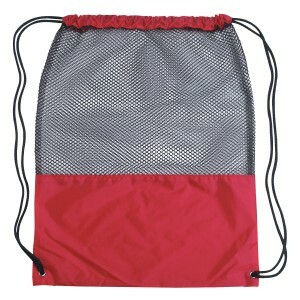 Custom imprinted mesh sports drawstring bag makes an excellent promotional choice for sports marketers because they can expect it to aid their targets – sports players! 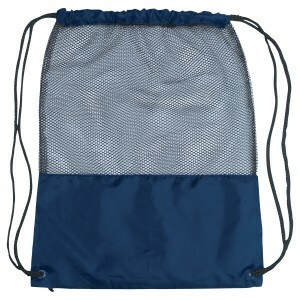 This drawstring bag offers large storage space and it can be easily slung over shoulder. It buys attention with its typical design highlighted with mesh in front of a colorful bag. 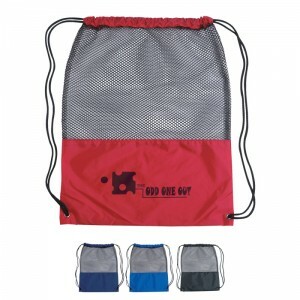 This drawstring bag performs excellent in crowded areas and during emergencies. Attractive price benefits can be availed on bulk ordering these mesh sports drawstring bags. 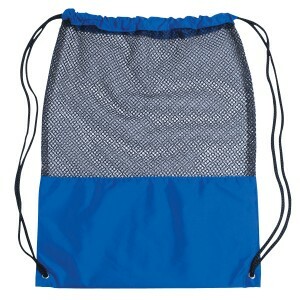 Request a quote to know price benefits on bulk orders of this promotional mesh sports drawstring bag. Features- Drawstring Closure. Mesh With 210D Polyester. Spot Clean/Air Dry. 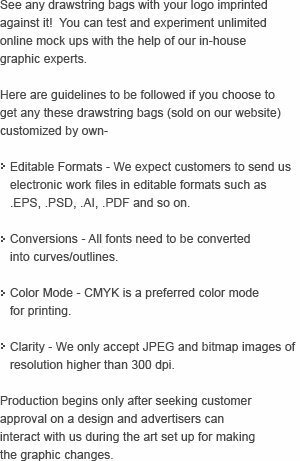 Item Size - 14" W x 18" H.
Imprint Size - 6" W x 3 ½" H.
Product & Design Quality - Exactly as advertised on the website. Perfect for our event needs! 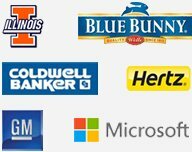 Customer Service & Shipping -Outstanding!!! !